This pattern is worked in rounds, use a stitch marker to mark the end of your rounds. Stuff the body. Next, continue with R37 until hole closes. This is adorable! Thanks for the pattern! Thank you for the free pattern. He is so cool. There are not many free dinosaur patterns. Again thank you. Aww, he's darling, I love him! Thanks so much for the pattern, I'll be linking. Thank you so much for providing this for free! Very generous of you, and an adorable pattern! Thank you so much for the pattern! I'm using it and I've found one small typo so far: in R16 of the body, it should be *2 sc in next sc, 1 sc, 1 sc* around in order to get 19 stitches. Thanks so much for the pattern! My daughter is really into dinosaurs right now:) I posted my version on my craft blog and linked back to your blog:) Thanks again! Adorable design! I am planning on making this for my five-year-old cousin! 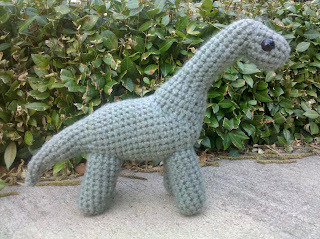 This is the best and safest dinosaur pattern I have found yet! 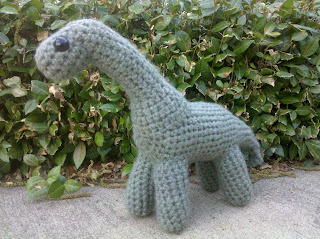 I look forward to crocheting it very soon. Thank you for the lovely dino! A grandson is asking for them now. Thank you so much for doing all the work and giving it away!! Love this dino. 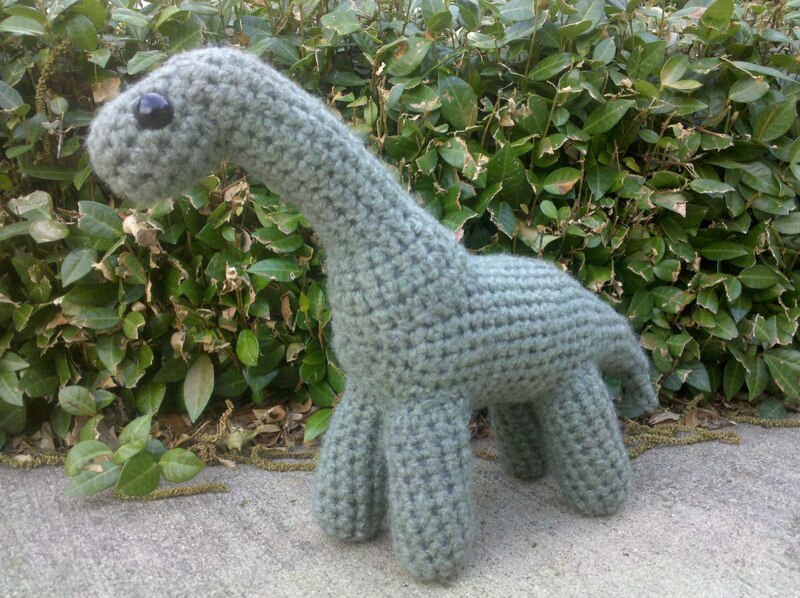 Thank you so much for sharing your pattern...It will be perfect for my great-granddaughter that is coming in the fall...Her room is going to be done in dinosaurs and sunflowers, lol..
Hello, how big is the dinosaur? Can you please tell me how big this dinosaur is ??? Thank you !!! Click To Visit Knotty Amigurumi's Facebook Page!